Author: Estleman, Loren D. Set In . . . Page Murdock doesn’t know why someone wants him dead, but he knows where the hired killers are coming from. Thus begins Murdoch’s descent into a hell more decadent, corrupt, and dangerous than even he has ever seen—San Francisco’s Barbary Coast. With an unwilling backup man, Murdock takes up temporary residence among the whores, gamblers, dope addicts, and cutthroats of the continent’s foulest district. No man here is trustworthy. But perhaps the men who seem respectable are the most insidious of all. 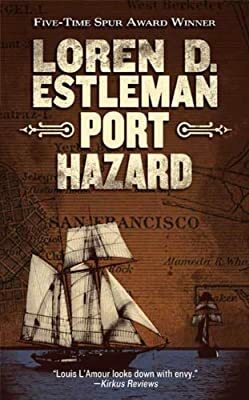 Port Hazard continues the Page Murdock saga from award-winning author Loren D. Estleman.